“More than half of new businesses don’t survive beyond five years” – when statistics like this are stacked against the entrepreneur, especially if you’re young, it’s encouraging to hear of two chaps from Stockport who have not only survived but thrived, building up their vehicle business, Topgear Stockport. It is is one of only three centres in the Topgear network to hold the ‘centre of excellence’ status. All this is even more impressive when you learn that they set up in 2007, a year before the economic downturn in the UK. Both from Stockport, Craig Baxter, aged 34, a Bodywork and Vehicle Technician (NVQ Certified), and Andrew Smith, 33, Fabrication (NVQ Certified) started the business back in September 2007, taking on a Topgear franchise. They started out just selling custom exhausts, alloy wheels and tyres. Working seven days a week and rarely having time off Craig and Andy expanded the business to include Topgear’s custom-built Longlife stainless steel exhausts and a host of other complementary services, including suspension, brakes, alloys, tyres, engine tuning, ECU tuning, turbo chargers and nitrous oxide. 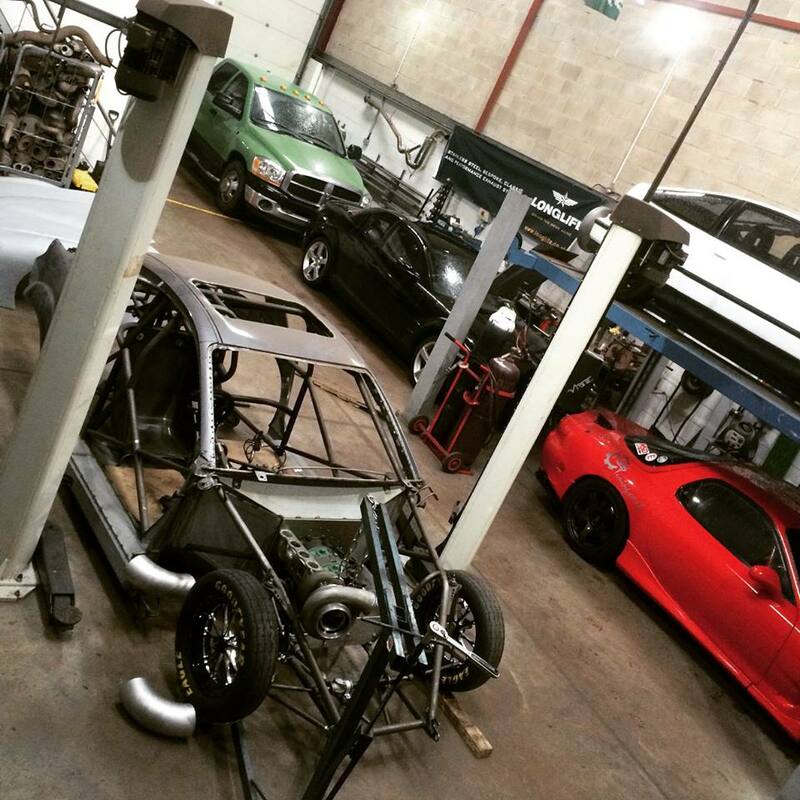 Working with some of the biggest names in the tuning industry, they have become well-known in the North for quality of workmanship and first-class customer service. How did you hear about Longlife? We were already part of the Topgear franchise as a Wolfrace dealer. What appealed to you about Longlife, why did you join? The superior quality of the Longlife products is what drew us to become a Longlife dealer, allowing us to offer higher standards to our customers. Advice to anyone considering it? Take the time to visit dealers in the network so you can talk to them and see the set-up first-hand. Where you are based is also important so you need to find a good location to have your workshop. We chose our current location because it is one minute off the M60 Ring Road that links most of Manchester – we are basically just off the slip road on the main road through Bredbury. It is also a new build, which appealed to us. Don’t rush into buying equipment, you need to do research first as to what suits you best. We’ve gradually built up the business since 2007. For example, to complement our hand built exhausts, in 2011 we invested in the very latest ECU tuning equipment to enable us to work on most modern vehicles to add more power or give better fuel efficiency. In January 2016 Daniel Lasko, a long-time friend, also joined the company. Daniel, 35, is a Vehicle Technician (NVQ & ATA Certified). We also installed a 2wd 1200bhp rolling road in 2016 to improve the quality of the work. This has also proven to be a great tool for showing the gains from the exhausts we build if the customer wants before and after figures. What has helped? Do you use social media? Family and friends helped out a lot when we first started. We already had a lot of relationships with many of the modifying clubs as we all have a passion for cars. Any other relevant information about your business? Any key statistics you can share? We build at least one full system per day and that’s alongside walk-in work and long-term projects we have. A lot of our work comes from returning customers, especially those with race or track cars that are constantly trying to progress further than they did the previous year. Since March 2016 we host our own Rolling Road Power League Days on the first Thursday of each month. We see many customers returning afterwards to make changes to their vehicles in order to climb higher up the league tables! Future plans are to keep on upgrading our equipment to keep us at the top of our game and possibly, in the future, move to bigger premises. it exactly to your specification. We manufacture our own tailpipes in our overseas manufacturing facility (we also supply most of the leading names in the industry with their tailpipe designs as well!) and also manufacture our own silencers in-house. This unique independence puts us at the forefront of custom build exhaust design and manufacture.